It's Another Open Thread Friday! Happy Friday and welcome to Open Thread, brought to you by those furry little critters at Hackerspace, where we talk about life and all the little hacks that go with it. Patrick Allen asked people to share their biggest life hack failures. Some of the comments are outstanding in their failure! If you missed that and would like to post them here, we’ll laugh ...suffer right along with you. 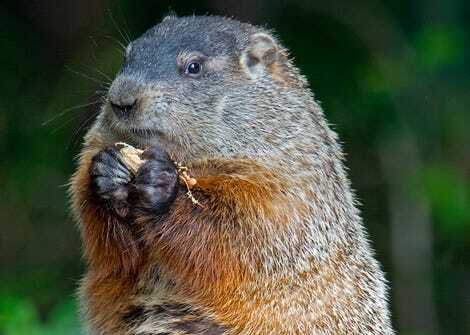 Well...the little Spring Predictor saw his shadow yesterday which means another SIX weeks of winter! If he doesn’t see his shadow, we’re in for an early spring. In the past 28 years however, Phil has only been right 13 times. So...what’s going on this week? What are you all doing for the weekend now that we know spring isn’t around the corner any time soon. Are you going off to play in the snow in some far away destination? Or sticking around the house where you can remain warm and cozy? What’s your biggest Lifehack failure? What about you biggest Lifehack win? Did you do something that turned out beyond your wildest expectations? How did life treat you this week? Good? Bad? Indifferent? Need help with something and you can’t find an answer? Our commenters are bright and resourceful so ask away! But as always, please, no politics.